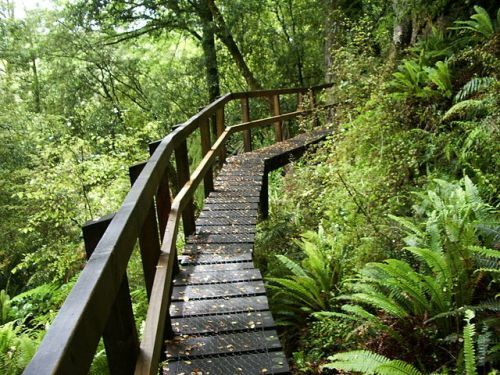 The Hollyford Track is a 56 kilometre long tramping or hiking path along Hollyford River that runs from Marion Corner at the foot of Mount Christina in the south to the Tasman Sea coast at Martins Bay in the north, through the Pyke Big Bay Track. The Hollyford Track is a 56 kilometre long tramping or hiking path along Hollyford River that runs from Marion Corner at the foot of Mount Christina in the south to the Tasman Sea coast at Martins Bay in the north, through the Pyke Big Bay Track. Open all year round, the route can be covered in 4-8 days. It offers exhilarating views of the Fiordland National Park, with features such as the Darran Mountains, Lake Alabaster, Lake McKerrow, Little Homer Saddle and Falls, and Long Reef. You may encounter wildlife such as seals, crested penguins, and herons. 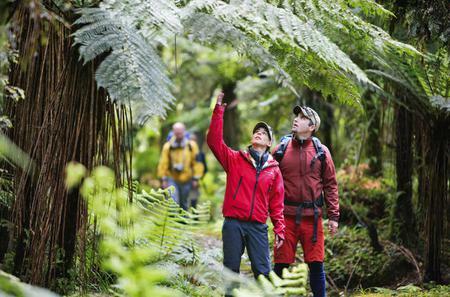 Check track conditions with the Fiordland National Park Visitor Centre in Te Anau before starting your journey.